Richard Jackson is the Commissioner of Purchasing for the City of Toledo where he leads the purchasing team in procuring $250 million a year of products and services. With over 15 years of experience in finance, property management, and business operations, he was previously the City’s Commissioner of Accounts; led the City’s Accounting, Accounts Payables, and Payroll team; and annual audits of areas he managed resulted in no audit findings. Jackson also earned the Toledo EXCEL Outstanding Alumni Award for his career and life accomplishments, led the City of Toledo in obtaining The State of Ohio’s Audit with Distinction Award, and has two GFOA Certificates for Excellence in Financial Reporting. He graduated from the Ohio State University with a B.S. in finance and obtained his EMBA from the University of Toledo (UT). 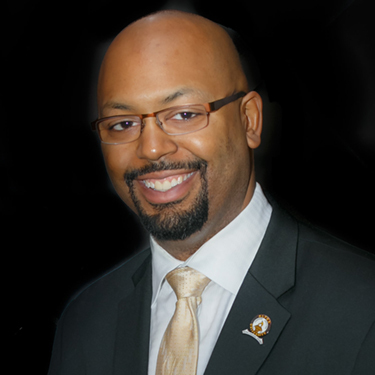 Since then, he has been involved in the community by serving as the treasurer of the Alpha Xi Lambda Chapter of the Alpha Phi Alpha Fraternity Inc., serving on the Toledo EXCEL Joint Committee, and also serving on the Pickett HUB Steering team.